Is it better to work with a Team of Realtors? We would answer an emphatic YES! Because we work together as a team, you benefit by not having to worry that you will be neglected if your realtor is on vacation, or even away for one day, when you want to purchase that “perfect house” that has just come on to the market. We have an advantage in offering you consistent service, with different personalities to choose from. Are the members of The Hills Team Related to each other? That answer would be yes AND no. John and Glenda (now retired) are the senior, members, of the team and Matthew is John’s son. John and Glenda have been working together in real estate for over thirty years and Matthew joined the team in July 2002. Anita, a friend of the family and a former client, joined the team in 2010. Christopher, a real estate colleague, joined the Hills Team in 2013. Some people have told me that their Realtor wanted them to sign a "Buyer Representation Agreement" before the realtor would show them any houses. Do I need to sign it to see a house with The Hills Team? Purchasers are not ever asked to sign a buyer agency agreement before being shown houses. We recommend that everyone choose a Realtor and use them exclusively, but we are not comfortable getting our clients to sign long-term contracts that force them to use us as their Realtor. As always, we only want people working with us that want to work with The Hills Team. Can The Hills Team show me a house listed by another realtor who works for Royal LePage Meadowtowne Realty? Yes! 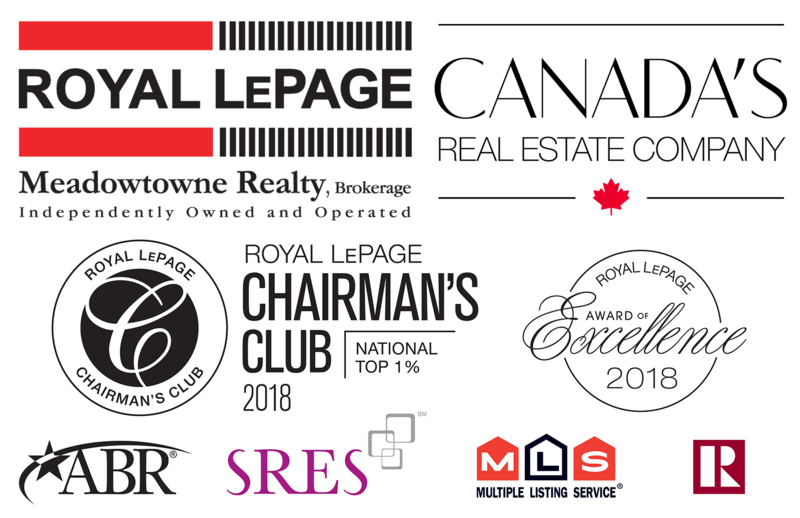 With almost 200 Realtors in the Meadowtowne Brokerage it is very likely we will show you homes listed with Royal LePage along with all other Brokerages. Can The Hills Team show me a house listed with another real estate brokerage? We can definitely show you houses listed by all Real Estate Brokerages. All listings are on the multiple listing service (MLS) and we show you all houses no matter what company they are listed with. If a home is listed with The Hills Team, can I use them to purchase the home? Absolutely, we are authorized to show you homes that we have listed and help you with your offer if you decide to purchase that home. Additionally, if you need to sell your existing home, in order to buy the new one, we can list that home also. What if I list my house with The Hills Team, and for some reason I don't want to move any longer or I am not happy with The Hills Team? Things change all the time and if your plans change or you are not happy with our services for any reason, you have the freedom to move on. No explanation needed, just let us know what is going on. Do I need to be referred to The Hills Team, to work with them? Most of our business is from past clients and referrals, but we always appreciate new clients. Please feel free to contact us and we will arrange a convenient time to meet. Do all Realtors do the exact same things? Absolutely not! Do some research on your own and ask your friends and family if they have used a local realtor that impressed them. There are several fabulous agents in our area so take some time to find the one that’s right for you. A co-worker is also a part-time realtor and they want me to use them to sell my home and help us buy our dream home. Will I be at a disadvantage? Part-time realtors cannot be available all the time, and it is extremely challenging to plan for an offer or to catch the perfect home coming on to the market, when they have another job. We recommend you choose a realtor that is 100% committed to real estate, and one that can be available when you need them. I want to sell my house in Toronto and move to the Town of Halton Hills. My Realtor in Toronto said that they could help us find our new home. Does this make sense? Yes, your realtor could come to Halton Hills and sell you a house. However, we think people should choose a realtor who knows the area. Buying a home, for most people, will be the largest purchase they ever make. Choose a realtor who is comfortable with the area and can answer all your questions with regards to your new home, and your future neighbourhood! Every week I see more and more realtors in the newspaper. Are there enough homes for all these realtors to make a living? full-time career. Some Realtors sell only a few houses a year while others sell up to 150. Find a Realtor that you can work with and do some research to ensure they have the experience you need, and the time to invest in you. I am currently living in Brampton and thinking about moving to Georgetown. I am very concerned about schools and I want to move close to a good school. Where in Georgetown should I move? This is a concern that we are hearing all the time from people moving to Georgetown. All of the schools are great, and you can be confident that your children will have a good experience at the school in your area of choice. Feel free to view each school's provincial test results and contact the principal to arrange for a tour. How come all houses in Halton Hills need water softeners? The answer to that question is simply because the water is “hard”. People add salt to a water softener every month or so and that is as confusing as it gets. The water quality is great and the only reason people use water softeners is so the soap foams well and the glasses in the dishwasher sparkle. Will Georgetown stay the same size in the future? There is no doubt that Georgetown will grow in the future. The vast majority of that growth will be in the South part of town, toward Highway 401. 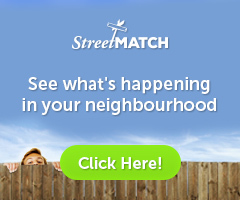 Some older neighbourhoods will have small developments and current residents want to make sure it is intelligent growth. The biggest limiting factor for growth is that Halton Hills does not have an endless supply of water, as it is currently a well-based community. Feel free to ask us more about growth and future water in Halton Hills; we could chat for hours! Where are the bad areas in Georgetown? You won’t believe us until you move here but Georgetown truly does not have a “bad area”. Come and see us, and we will take you for a drive to show off the place that we call home! Will I hear the train if I live in Georgetown and Acton? No matter where you live, we guarantee that at some point you will hear a train at your new home. This is just a fact of life in Halton Hills. Obviously, the volume will vary depending on your exact location. This does not pose an issue for most people, and it is our goal to make sure we give buyers all the facts. The last thing we want is for you to move into your new home and call us surprised to hear a train directly behind your home! Is Acton a nice place to live? Acton is a great place to live, and many people love the fact that growth in the future is restricted because of the Provincial Greenbelt. Acton is, and always will be, a small town where your neighbours will say hello in the grocery store. Why do Georgetown people make fun of Acton and Acton people make fun of Georgetown? In our opinion, this is our way of showing affection for our fellow Town of Halton Hills residents. It has been going on for years and depending on where the person you are talking to lives they will always say where they live is the best. Fact is, either choice is a great one and both Acton and Georgetown respectively are loved by the people who live there! Is it better to use a brand new realtor or a long time agent? Excellent question and there is no right answer. In our opinion you need to choose a realtor that you are comfortable with and one that seems motivated to work hard for you. The Hills Team has unique realtors with different personalities. It is very likely that one of our Team members will be a good match. We pride ourselves on having satisfied clients who enjoy working with us, and if for some reason you are not happy, you are always free to move on. We just have a feeling that you will enjoy working with us! I am not positive that we are going to move, and I don’t want to waste a realtor’s time. Can The Hills Team still show me houses? Yes, we can! Don’t think that you are wasting our time. If you are not 100% sure you want to move, nothing is better to help solidify that decision than looking at homes. Please contact us so we can arrange some homes for you to view. We have no idea what our home is worth; can The Hills Team come over and tell me? We will always complete an in-depth evaluation of your home by using recent sales and current market conditions. Every house is unique in some way, and we will do all the necessary research to give you a well-studied answer. How much does the Hills Team charge for an evaluation of my home? 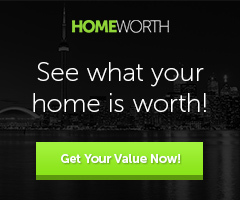 Home evaluations are always free, and it is our pleasure to give you an expert opinion of your home's value. Do I need a Lawyer before I can purchase a home? You do not need a lawyer to make an offer to purchase a home. The only time you will need a lawyer will be at closing, and we can refer you to several. We take care of making sure the lawyer has all your paperwork in time for closing along with your contact information. I have never purchased a home before and it sounds like it is very confusing. Will The Hills Team assist me through the entire process? We love selling houses and we love to guide first time buyers through the process of making their first purchase. We will explain everything in detail, and make sure that you are completely taken care of; from getting a mortgage, to mortgage life insurance and everything in between. Can I use my own home inspector when I purchase a home, or do I need to use one that The Hills Team recommends? Over the years we have witnessed many home inspections, and not all home inspectors are great at what they do. We only refer home inspectors that we know are fully qualified and consistently do thorough inspections, fully explaining everything they see. We never want a client to buy a home with unwanted surprises, so we only recommend the best of the bunch. I was just going to go into the bank and get pre-approved for a mortgage, but The Hills Team recommends I use their mortgage broker. Why should I use a mortgage broker? We recommend that all our clients talk to our mortgage broker, if only to get a second opinion. Mortgage Brokers work for you and they have many different lenders to choose from. We constantly have clients tell us that they are so glad we told them about Carolyn Callero at The Mortgage Centre, and that they will never use anyone else! People only stage their homes to sell on television and my home will sell itself. Why would The Hills Team want me to go all the effort? We hear this all the time, and we understand that the last thing you want to do when you know you are moving is more work! However, today’s Buyers have high expectations, and some preparations need to be made to get the best price for your home. Our Stager will meet with you and give recommendations on what needs to be done to help you sell your home for the most money. The good news is that homes that are well staged sell faster, so the effort will pay off! I need to do a lot work to get my home ready for sale. I don’t personally know anyone who can do the work, and I don’t trust the contractors that are in the phone book. Can The Hills Team help me? Yes. We have numerous local contractors that we can refer you to so that your home can be made ready for selling. We use them regularly and we only refer contractors that we would use for our own homes. I want to list my house for a higher price than it is truly worth, because I want to make sure I have room to negotiate. Will this work? Buyers are just as smart as Sellers and they can figure out if the listing is priced too high. The worst part about pricing your home over market value is that some Buyers won’t even walk in the front door. Correct pricing is the key to achieving top dollar and incorrect pricing, at the beginning, is a big mistake. Why would I list my house with a realtor and advertise it on MLS? I can sell it myself without a realtor and not have to pay commission, can’t I? This is not a short answer. We will never force anyone to list with The Hills Team. All we can tell you is that 99% of all homes in Canada are sold by a realtor (even if the home is listed privately). If you find a buyer that would like to purchase your home without the help of a realtor, it is very likely they will expect to pay below market value, equivalent to the amount of commission. In most cases you would have more money in your pocket if your home were exposed to the open market (listed on MLS, etc.) Please feel free to set up an appointment with The Hills Team so we can give you all the information you need. Although this is not the core of our business, on occasion we will help clients to rent their property or find a rental for someone who needs to rent in the future. Feel free to give us a call to see if we can help you in this area. After I have moved into my new home, can I still call the Hills Team or e-mail them to find out answers to my questions (find a great contractor, find out what my neighbour's house sold for, etc.)? Absolutely! We want to hear from you. Our mission is to provide ongoing advice and support. Does the Hills Team work evenings and weekends? We are a dedicated team of realtors, and we understand that real estate happens all the time. We assure you that the Hills Team can accommodate you and take care of your needs.